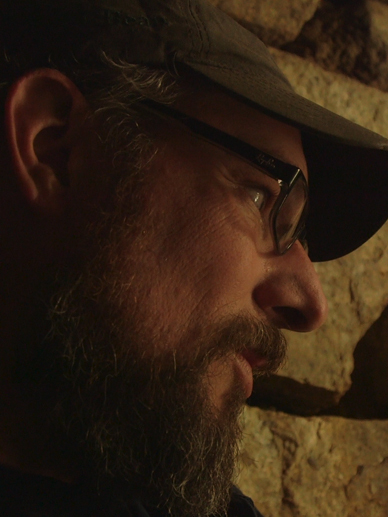 Host Bill Brock searches for answers in the mysterious chambers of America’s Stonehenge. Every so often, prospects seem to fall into your lap that are so unique that you’d can’t turn them down. Rogue Mysteries was one of these projects. Host Bill Brock, best known from his hit TV series on Destination America ‘Monsters Underground,’ came to us with a web series concept that would find him teaming up with various paranormal and cryptozoologists as he studies a link between ancient American sites and extraterrestrial life. Episode one led us to the remote town of Salem, NH where we explore the ruins of America’s Stonehenge. What makes these archaeological ruins so interesting is that if viewed from above, they serve as a perfect stone calendar that helped it’s ancient occupants track the solstices and equinoxes of the year. Even more interesting is the fact that hidden in the middle of these ruins, is a sacrificial alter. Hidden behind that alter is a chamber where the shaman would sit during ceremonies, his voice projected through the stone, almost like a ‘voice of god’ that would boom over the alter. With such unique features, Bill decided to bring in physic medium Colleen F. Costello. When Colleen reads the energy in these areas using her crystal pendulum, we discover some truths that help confirms Bill’s theories. 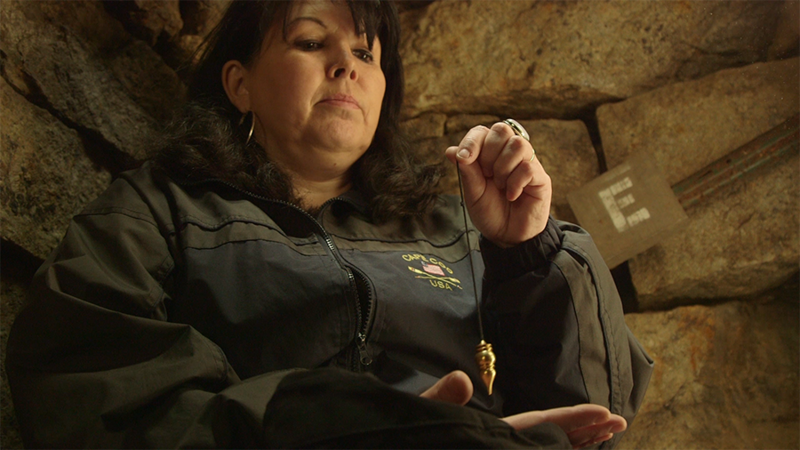 Physic medium Colleen F. Costello reads the energy in the Shaman’s Chamber at America’s Stonehenge. Next Next post: Monsterland Releases Nationwide Today!